English: A pretty bog on the Milford Track in Fiordland National Park, New Zealand. This boardwalk is part of a little educational side-trail shortly before arriving at the huts for the end of the first day of the (Freedom Walker's) track. Coordinates are approximate only (may be off as much as 50m). 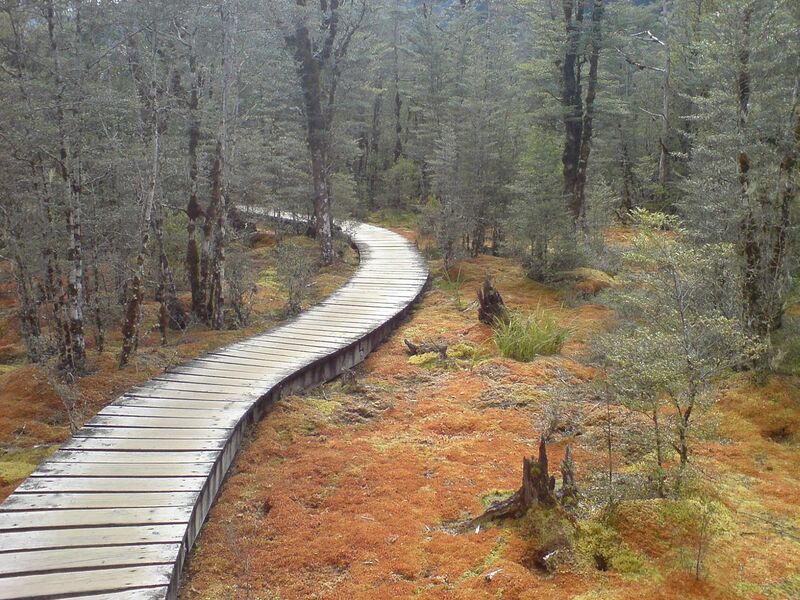 This photo was used around 2009 in a New Zealand Herald article about the Milford Track. Possibly only used in the online version though. This page was last edited on 16 December 2017, at 13:46.